RMS Beauty natural face illuminating powder "Midnight Hour"
Midnight Hour by RMS is a luminizing facial powder that gives skin a glowing rose-gold radiance. This silky smooth moisturizing pressed luminizing powder enlivens the skin and instantly enhances complexion with light-reflecting, ultra-fine mineral pigments. Skin looks glowing and radiant with a luminous, youthful finish. Formulated with unbaked precious buriti oil which avoids heat exposure and preserves the integrity of the raw ingredient, Midnight Hour luminizing powder will not dry out the skin like traditional powder formulas. RMS Beauty Midnight Hour powder suits every skin tone and can be applied anywhere you desire luminious highlights on the face or body. Its 100% natural formula is talc free, silicone free, perfume free and paraben free. Natural face shimmering powder for all skin types. Using rms beauty luminizing powder retractable brush, apply Midnight Hour compact highlighting powder anywhere you desire luminious highlights on the face or body. 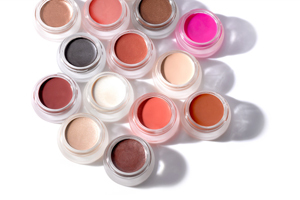 Beauty tip : add wherever luminized skin is desired including the eyes. A little trick is to apply in the center of your lips over any lipstick and lightly across your knuckles. RMS luminizing powder is not held together with glue and chemicals, so treat respectfully. Studio 78 Paris Illuminating powder N°1 - "Like a diamond"